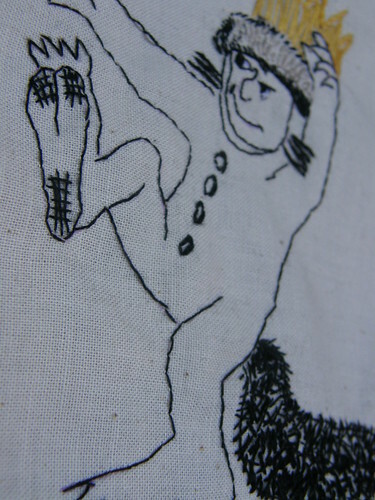 where the wild things are embroidery Max 6, originally uploaded by meetmeatmikes. Read Pip's post about it over on the Meet Me at Mike's blog. This is wonderful....one of my favourite children's books too. I love it. I fell a little bit more in love with my partner when we met when I saw this on his bookshelf. It's perfect. I'm so excited to see the movie! It IS lovely. One of our family's favorite books.